Other feeders humiliate squirrels, but the Unicorn Squirrel Feeder transforms squirrels into magical beasts from Fairyland! When squirrels eat out of the vinyl 9-1/2" x 10" (24.1 cm x 25.4 cm) unicorn head, it makes it look like they are the unicorn. Just attach the horn with a quick twist and then hang it with string (not included). Illustrated box packaging. 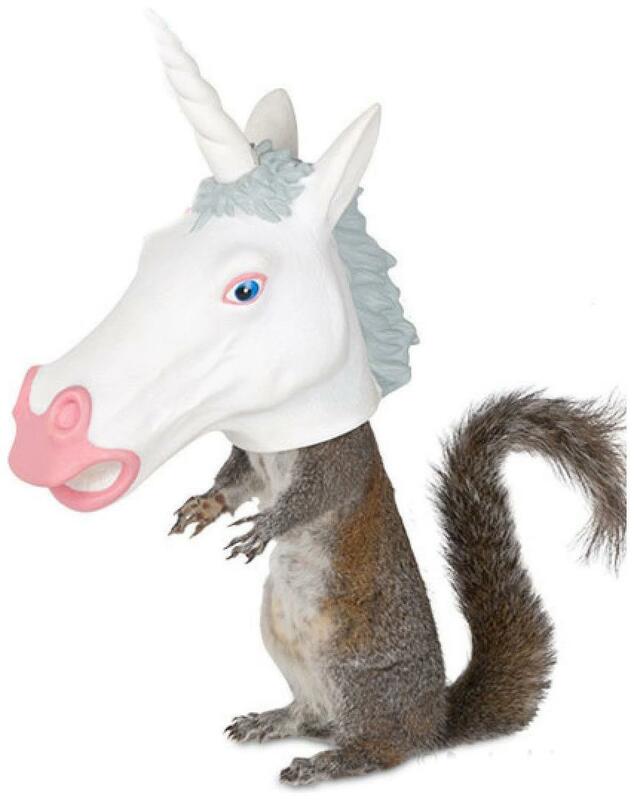 Other feeders humiliate squirrels, but the Unicorn Squirrel Feeder transforms squirrels into magical beasts from Fairyland! When squirrels eat out of the vinyl unicorn head, it makes it look like they are the unicorn. Unicorn head feeder measures 9-1/2" x 10" (24.1 cm x 25.4 cm). Just attach the horn with a quick twist and then hang it with string (not included).